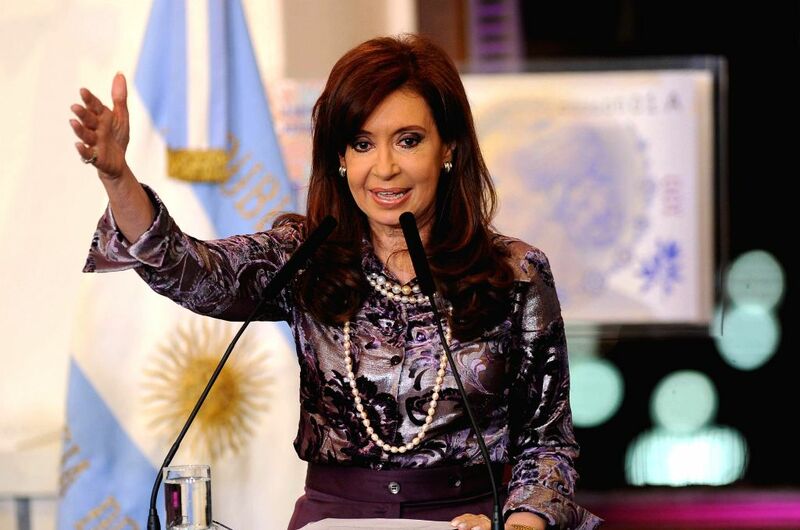 BUENOS AIRES, Sept. 4, 2014 - Argentina's President Cristina Fernandez delivers a speech during an event at the Government House, in Buenos Aires, Argentina, on Sept. 3, 2014. During the event Cristina Fernandez made announcements on education and works of electric interconnection. Aug 29, 2014La Paz: 28th anniversary of the denominated "March for Life"